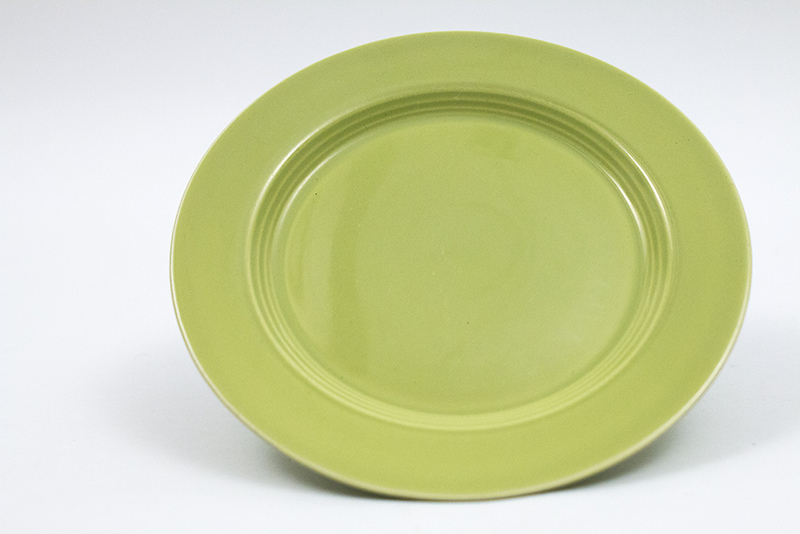 Circa 1951-1959: Introduced in 1951, the Chartreuse glaze belonged to the modern era and the last few colors of the original vintage solid color dinnerware lines from Homer Laughlin. 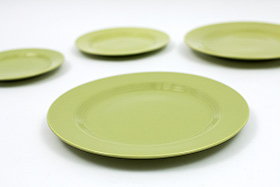 Chartreuse remains one of the most modern and highly collected vintage colors. 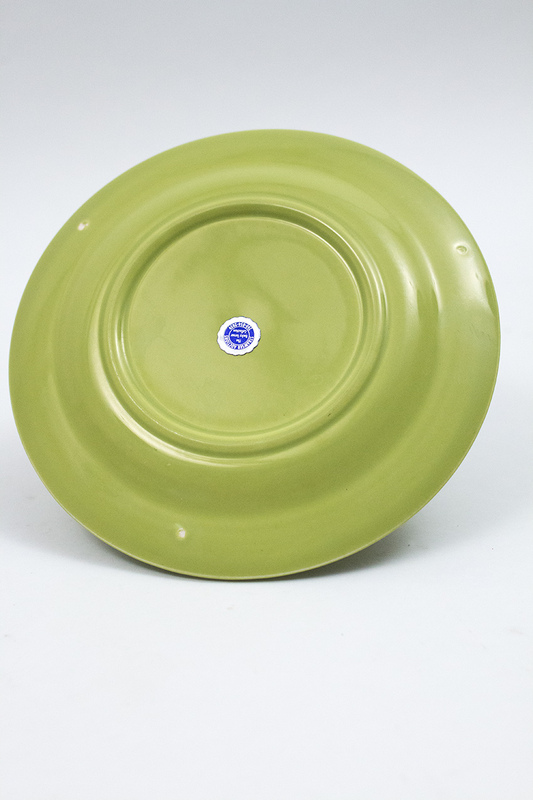 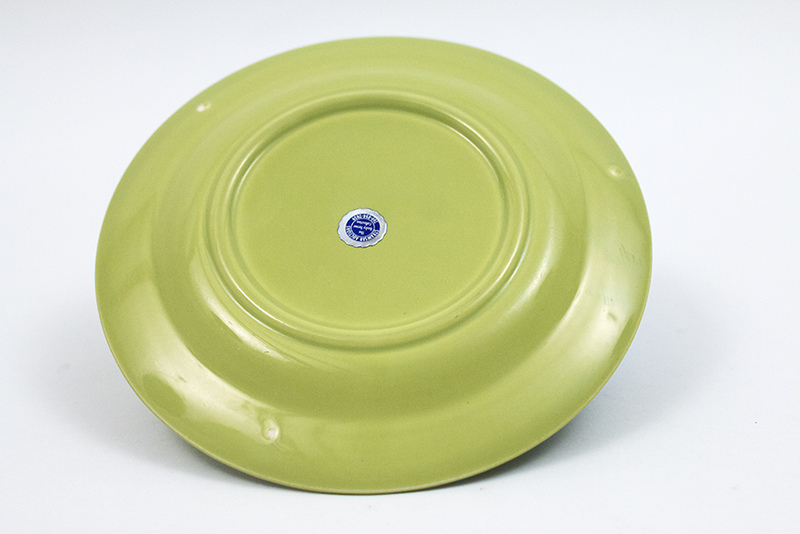 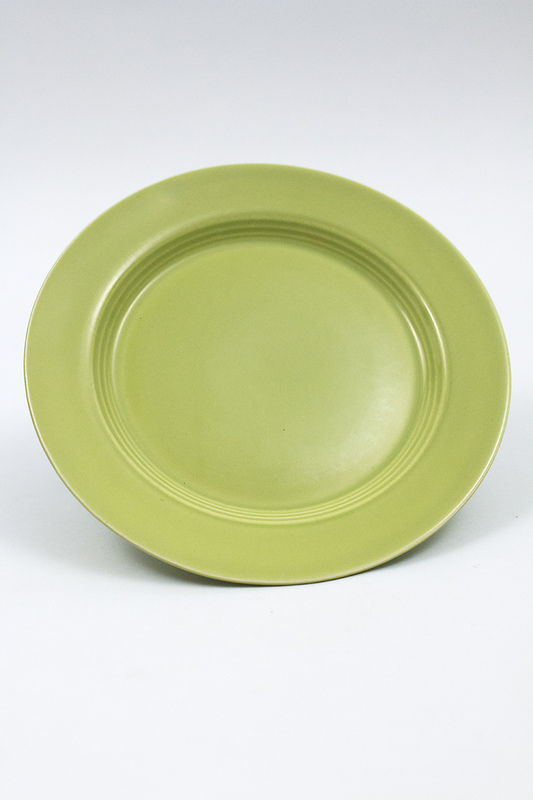 This simple 7" chartreuse Harlequin salad plate has the most luxurious finish and wonderful color. 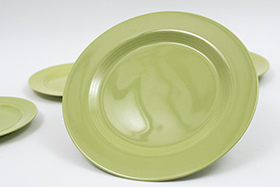 Who knew the simple salad plate could add such delight to the table. Measures 7 1/4" x 5/8".